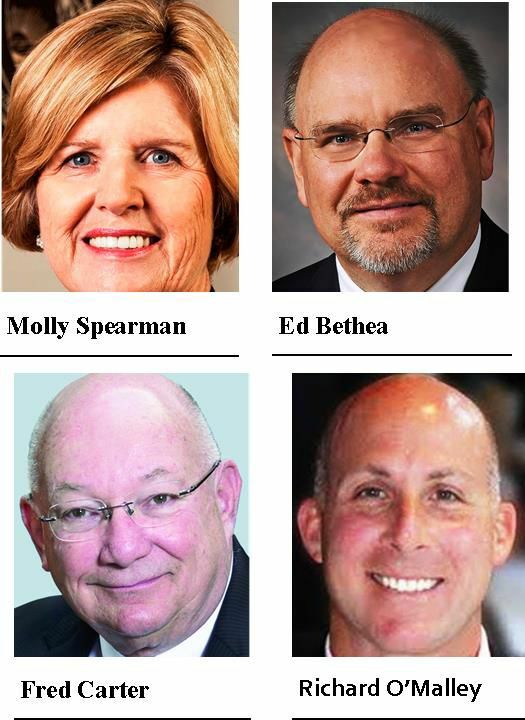 FLORENCE, S.C. – Molly Spearman, Fred Carter, Ed Bethea and Richard O’Malley are expected to be the speakers next month at the Greater Florence Chamber of Commerce education update breakfast. The breakfast will be held at 7:30 a.m. on Sept. 14 at the Florence Center. Spearman is the South Carolina superintendent of education. Carter is president of Francis Marion University. Bethea is interim president of Florence-Darlington Technical College and O’Malley is the new superintendent of Florence One Schools. Mike Miller, president of the chamber, said the chamber usually holds two legislative updates during the year, and every two years or so, the chamber holds an education update so the community can have an opportunity to hear from the “folks at the top” of each of the major educational institutions in Florence about how the future workers in the Florence are being trained and developed. For more information or to reserve a seat or table, contact the chamber at 843-665-0515.